Originally set up at Greenwich in 1817, the Magnetic Observatory moved to Abinger in Surrey in the early 1920s to avoid interference when the nearby railways were electrified. The Abinger Observatory became operational in 1924, but its site was too close to the railways and it soon began to suffer from interference. This forced a second move, this time to Hartland in Devon. The Abinger Magnetic Observatory closed on 18 April 1957. The Hartland Observatory has been in continuous operation since 1 January 1957. Originally part of the Royal Greenwich Observatory, control passed to the Natural Environment Research Council (NERC) on 1 September 1967. The Hartland Observatory is not open to the public. The Hartland Magnetic Observatory is situated on the north-west boundary of the village of Hartland roughly twelve miles from the nearest town, Bideford. The site is about 20 acres in extent, the northern side forming part of the southern slope of a wooded valley which extends two miles westward to the coast. Near this point the coast turns sharply eastward and runs about two miles north of the Observatory. The purpose of a magnetic observatory is to measure and record the changes that occur in the Earth’s magnetic field. These are of two types. The first, which includes the westward drift of magnetic north, arise because of what is happening within the Earth’s core. The second arise mainly from currents in the ionosphere and magnetosphere as a result of phenomena occurring on the Sun. They take place over a much shorter timescale. Greenwich’s original interest in making magnetic observations stemmed from its founding remit to improve navigation at sea. The earliest measurements were made by John Flamsteed in 1680, but it wasn’t until 1817 that a purpose built magnetic observatory was erected. Made of wood and located towards the bottom of the steep slope to the west of the later Altazimuth Pavilion, the foundations soon gave way. In 1824 the instruments were removed and observations ceased. A new building was erected by Airy in 1838 on the site now occupied by the Peter Harrison Planetarium. Observations restarted the following year. The Lassell Dome was constructed nearby in 1883. It contained copious amounts of iron, whose presence forced the relocation of both the dip and deflexion instruments. Other instruments became affected when construction of the South Building with its steel frame and electrical generators began in 1891. The building of the Altazimuth Pavilion in 1894-5 was to exacerbate the problem, forcing Christie to seek a new location for the magnetic observatory. It took until 1897 to find a suitable spot that was both magnetically neutral and still close at hand within the boundary of Greenwich Park (The Christie Enclosure). 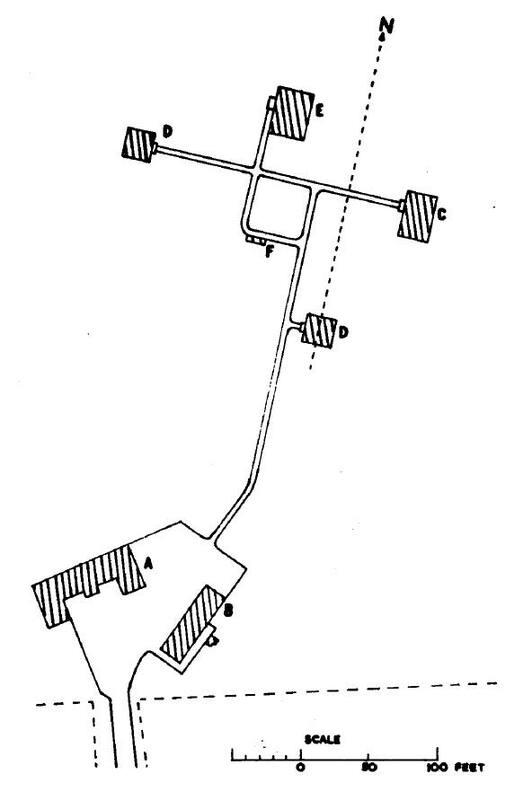 Had the power delivery system been such that all the return current flowed along the rails back to the substation, the magnetic fields produced by the outward and return currents would have more or less cancelled each other out, limiting the disturbed area to the vicinity of the railway. However, the return rail was not insulated from the ground, and part of the return current leaked into the earth. Not only did this reduce the cancellation effect (thereby affecting the Observatory), but the leakage currents created their own, smaller, magnetic fields as well. Although, at this distance, the interference with the magnetic registers was not considered severe, it was only a matter of time before proposals would be made to electrify the multiplicity of existing lines and tramways in London. The closer they ran to the Observatory, the greater the impact they were likely to have on the magnetic instruments and the value of the magnetic records. By 1893, a clause had been agreed for insertion in future parliamentary railway or tramway bills authorising electrical power, in order to protect not only the Greenwich Observatory, but also the magnetic observatory at Kew (established in 1857) along with various other government scientific establishments in London. Amongst its provisions was the stipulation that ‘either insulated returns or uninsulated metallic returns of low resistance’ should be used. The clause was inserted in numerous bills, which in the case of Greenwich included any that related to a line that came within originally ten, but later five miles of the Observatory. In 1903 the South Eastern and Chatham railway whose lines ran immediately to the north and south of the Greenwich Observatory, obtained a Parliamentary Bill for the electrification of their lines. It contained the usual protective clause. At this point though, there was no particular scheme in mind and nothing much seems to have happened until 1913 when consideration was given to electrifying their suburban lines … which included those that ran near Greenwich. The proposals came to nothing. The First World War came and went and was followed by a rationalisation of the railways and with it a greater degree of standardisation. To this end the Ministry of Transport set up an ‘Electrification of Railways Advisory Committee’ chaired by Sir Alexander Kennedy. The outlook for Greenwich soon began to look bleak, so much so, that on 5 October 1921, a conference was convened at the request of the Admiralty to discuss the desirability & practicalities of relocating the magnetic observatory. It was attended by the Astronomer Royal and a number of senior officials from the Admiralty. Although there was an objection in principle to moving, (mainly on the grounds that the continuity of a valuable series of observations would be broken, and the difficulty of providing proper scientific supervision at a satellite location); the delegates bowed to the inevitable and concluded that the instruments should be moved and the railway company asked to bear both the rebuilding cost and the additional working expenses. A sum of £34,000 was suggested - £10,000 for the move and £24,000 for the additional running costs (20 years at £1,200 per year). A new site at a distance of no more than 50 miles was sought so that it could be easily administered from Greenwich. Amongst the stipulations was that it should not be more than 3 miles from a railway or any probable future railway. A site at Abinger was eventually selected. It became fully operational on 1 April 1925. The final compensation paid, came to £37,145 5s. Abinger turned out to be a poor choice. Within months of it becoming fully operational it became magnetically ‘unclean’, when a regular service of electrified trains began running on the Dorking to Waterloo line within 5 miles of the instruments. The Mole Valley Line which passed 2¾ miles to the east was electrified in 1938, bringing with it an increase in magnetic interference. By the following year the Astronomer Royal was actively seeking to move the Observatory again. A special meeting of the Board of Visitors was convened in the rooms of the Royal Society in June 1939, to discuss not only the removal of the magnetic observatory from Abinger but also the Astronomical Observatory at Greenwich. Initial soundings had suggested that a location with good conditions for both magnetic and astronomical observations simply did not exist and that the two parts of the Observatory would need to be moved to different locations. In the case of the Magnetic Observatory, it was agreed that further investigations into their suitability should take place at both Lynton and Hartland Point in Devon – both at a distance of at least 10 miles from a railway. Brigadier-General Hon. Arthur Asquith (son of the former Prime Minister HH Asquith) heard about the possible move and suggested that a portion of the Clovelly Estate where he lived might be suitable as it was near to Hartland, and that the Clovelly Estate Company would be prepared to sell or lease a site. 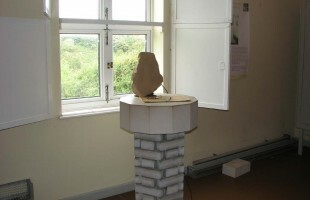 Spencer Jones visited three sites on the estate. One was near and due east of Baxorthy Corner, to the north of and fronting the A39, the others being in the vicinity of Highdown Cottages about two miles to the north. Following the outbreak of war in the autumn of 1939, no further progress was made on selecting a site until 1944, when the Admiralty approved a move in principle. Meanwhile conditions at Abinger had worsened as a result of the Time Department being evacuated there at the start of the war. The sloping and wooded nature of the Abinger site, meant that much of its eight acres was unavailable for use. As a result, not only was some of the timekeeping equipment located uncomfortably close to the magnetic instruments, but the instruments were affected by the coming and going of vehicles, particularly those that were carrying steel petrol drums of fuel oil (RGO9/78). The search for a new site began in 1948. Spencer Jones provided a list of criteria for its selection. As well as being not less the 10 miles from a railway, the site was required to have: access to a mains electrical supply, access to a water supply (if necessary from a well), be of an area of about 50 acres (and not less than 25). It was also required not to be liable to lengthy periods of mist (to maintain the efficiency of the insulation of the electrical equipment), to have reasonable access for vehicles and lorries, to be free from magnetic anomalies, and to be located not too far from public transport or local shops. It was stated that land of no agricultural value would be suitable (and might be cheaper to purchase). Following a tour of the area by the Admiralty Lands Branch, five possible sites were suggested for further investigation. These were: two sites immediately to the north of the A39 about 2 miles south-west of Lynton, one near Clovelly Dyke, one south of Hartland Village, and one at Baxworthy Corner, possibly the same site that Spencer Jones had viewed in 1939. Realising that he might already have seen the last site, Spencer Jones urged the Admiralty to get in touch with the Clovelly Estate, to see if they were still willing sellers as if the site turned out to be magnetically suitable, it would save having to instigate a compulsory purchase procedure. The Admiralty thought this would be premature and declined to do so at this stage so as not to limit their options. Following advice from the Meteorological Office of the Air Ministry, the two sites at Lynton were dropped due to their susceptibility to mist and fog. Testing was carried out on the three sites in the Hartland area at the end of 1948. The sites at Baxworthy Corner and Clovelly Dyke were then ruled out completely. The site south of Hartland Village was possibly adequate, provided the use of an old quarry as a rubbish dump on its northern boundary could be terminated. It was decided that other sites needed to be investigated. In August 1949, a decison was made to include sites that had originally been excluded on the grounds that the land was let to small-holders who would be deprived of a living if they had to give it up. Three sites were selected for testing: the first of 20 acres on the north-west corner of Hartland village; the second of about 19 acres located about two-thirds of a mile to the north of the first at Pattard Cross and the third near Baxworthy Corner. Magnetic testing was carried out between 11 and 21 October 1949, and the site at Baxworthy Corner eliminated. The other two sites appeared equally suitable as a result of the magnetic tests, but the site on the edge of the village had the advantage that it was comparatively sheltered, had natural drainage and proximity to power and water supplies as well as potential building plots for staff houses. On the downside, it had both a footpath and a power line running across it, both of which would need to be diverted. A subcommittee of the Board of Visitors comprising W.M. Greaves, H.H. Plaskett and B.C. Browne (with Mr C. Jowsey as secretary) who together with the Astronomer Royal and two representatives of the Admiralty, G Colin Grove (Deputy Civil Engineer-in Chief) and L.C. Garside (Surveyor of Lands, Devenport Yard), made a site visit on 21 November 1950. They selected the site on the north-west corner of the village. Progress on pushing ahead with the move continued to be slow as financial priority was given to establishing the Astronomical Observatory at Herstmonceux. In January 1953, steps were taken to acquire the site from the Hartland Abbey Estate by compulsory purchase. It was at this point that the Ministry of Agriculture and Fisheries thew a spanner in the works, as loss of the site as agricultural land would be detrimental to the production of food (of which their was a post war shortage). They suggested instead a site at Youltree Cross to the north of the village and close to the Pattard Cross site), a site, which was rejected on the basis of Garside’s and the Astronomer Royal’s recollection of the land in that vicinity. In the end, a compromise was reached and planning permission granted finally granted in June 1954, provided that most of the land should remain available for grazing and that a fenced off area containing the buildings should not exceed one-third of an acre. The project was finally given full Treasury and Admiralty approval to acquire the site and proceed in December 1954, with a sum of £40,000 being provided for the year 1955/56. By now, time was of the essence as it was essential that the site should be ready for occupation before the start of International Geophysical Year in July 1957. In the event, the costs came in at around £51,800, which included about £1,800 for the purchase of the site and the tenants’’ interests, £30,000 for the construction of the buildings and £16,000 for equipment. The annual running costs were put at £3,850, made up of £2,900 for three members of staff and a caretaker, £450 for upkeep and £450 for consumables stores, fuel and water. Unlike the move to Abinger, all these expenses had to be picked up by the Admiralty. Building work commenced at Hartland in the early summer of 1955. 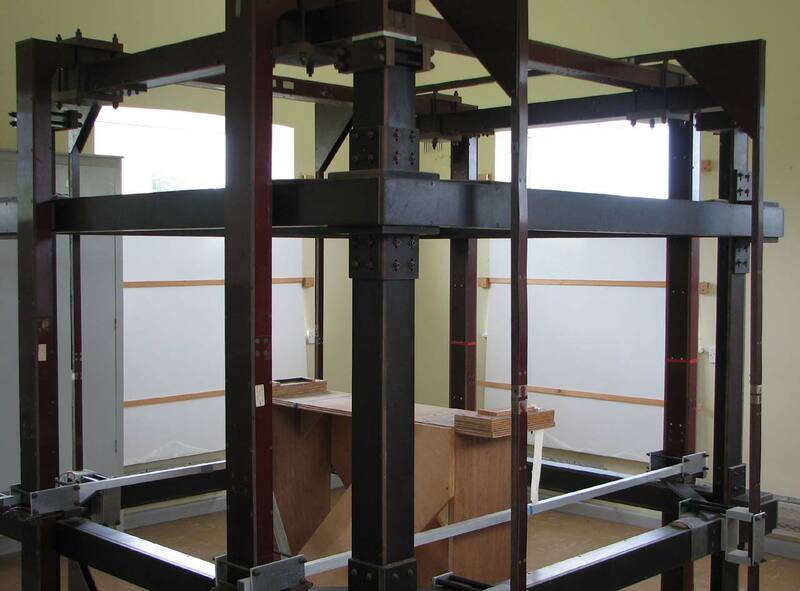 The buildings which were to contain magnetic instruments were constructed of non-magnetic materials, samples of which had been previously tested at Abinger. Their walls were of lime bricks, their flooring of concrete and timber and their roofing of copper. Designed by the Civil Engineer-in-Chief’s department at the Admiralty, the Observatory buildings were handed over on 5 October 1956 in good time for observations to commence before the start of International Geophysical Year. 1. Caretaker’s residence (initial rent: one pound five shillings per week inclusive). 2. Office block with dark-room, store and small workshop accommodation. 3. The Observing Building / Pavilion (also known as the Absolute Hut). This housed those instruments with which manual observations were made on a daily basis of the different components which define the Earth’s magnetic field. It contained a number of piers, certain of which were permanently allocated to the standard magnetometers, with the remainder being available for use with other instruments. 4. The Recording Building (also known variously as the Magnetograph House or Variometer House). This was designed to house all those instruments required to secure continuous records (graphs) showing the variations in the different component’s of the Earth’s field. The instruments needed to be maintained at a constant temperature. As this was no facility for cooling the building, this was achieved by maintaining a working temperature above that outside by using thermostatically controlled eclectic heaters. The building contained two thermally insulated inner chambers separated by a narrow central passage. The two chambers were divided individually into three sections or compartments by partitions provided with light-proof sliding panels extending from floor to ceiling. Normally these panels remained open but they could be closed when adjustments to instruments in anyone section were in progress. Each section had its own exit door to the central passage. 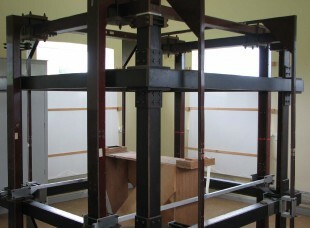 Of the six compartments five were furnished with concrete piers designed to accommodate the various magnetic recorders; the sixth served as a small laboratory and contains the auxiliary equipment used for scaling the variometers. 5. Test hut No.1. This housed the large coil (Braunbek) system, designed to provide uniform magnetic fields suitable for tests on magnetic instruments. By varying the current in the coils, the strength of the magnetic field could be varied and any desired strength attained. 6. Test hut No. 2 This was similar to Test Hut 1, but without the large coils. It and was for testing the various types of instruments that did not require the special conditions that could be provided in Test Hut 1. 7. A small building designed to accommodate electronic equipment for the supply of stabilised direct current to the pavilions. In 1972, a non-magnetic laboratory was built to provide accommodation for a rubidium-vapour magnetometer digital recording system. It comprises an instrument room and a sensor room with five instrument piers. Located to the west of Test Hut 2 and the Test Hut 1, it is constructed of bricks which are slightly darker in colour. The standard magnetometers and their ancillary equipment employed in the determination of the horizontal and vertical components of the earth’s magnetic field were dismantled at Abinger on 18 March 1957 and transferred to Hartland the following day. The H (Schuster-Smith) coil was brought into regular use at Hartland on April 3 and the Z (Dye) coil on April 9. Declination was determined using a collimator magnet and theodolite that had served at Abinger for a time as a declinometer. A check upon the zero error of the theodolite being provided by a permanent distant mark, the azimuth of which was determined by observations of Polaris. 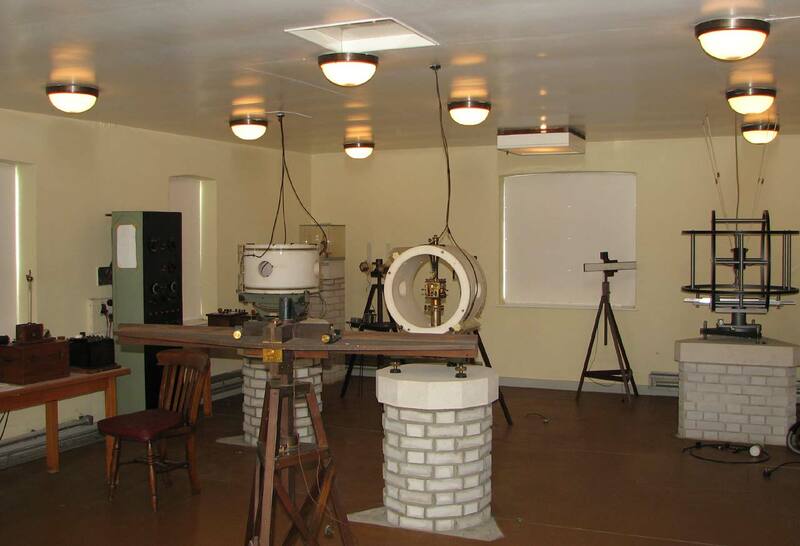 A new set of normal-run La Cour variometers set up during 1956 at Hartland was available for continuous recording of D, H and Z from the beginning of 1957. The La Cour quick-run and wide-range recorders were brought into operation on 22 May 1957, the latter being a new set. The quick-run recorder was the one that had previously in use at Abinger. The normal-run instrument that had been in use at Abinger and a new quick-run recorder were subsequently available at Hartland as reserve instruments. A permant distant mark or azimuth mark was erected on a concrete obelisk 7 or 8 feet high near the site’s northern boundary. Viewed though the window in the north wall of the Absolute Hut, its azimuth is 11º27’54” E of N. It is still in use today. Its regular observation from the Absolute Hut together with other manual observations made at the same time, is used as a quality check for the automated measurements being made on a continuous basis. Originally, it had been planned to run Abinger and Hartland in parallel during the International Geophysical Year (1 July 1957 to 31 December 1958), but because of the earlier than anticipated retirement the Officer in Charge at Abinger, Mr EA Chamberlain on 31 July 1956, this was unable to happen. Following Chambers retirement and the subsequent transfer of two of the staff to Hartland (Rickerby as Supervisor and Willmoth as his assistant), only a junior member of staff was left to run the instruments at Abinger. Despite occasional assistance from staff of the Time Department at Abinger and weekly visits by senior members of staff from Herstmonceux, it proved impractical to continue to run the Abinger Observatory on this basis. It was therefore closed early on 18 April 1957. In October 1964, an automatic 3-component digital-recording magnetometer based on a proton-precession sensor (developed by Packard and Varian in 1954) and belonging to the Meteorological Office was installed. It was found to suffer from interference, which stemmed from field modulations at a frequency of 50 c/s and its harmonics. A subsequent field survey in which noise up to the 50th harmonic of 50 c/s was detected, showed that the observatory was located near a preferential Earth-return path for leakages from the local power supply. Ironically, the noise levels at Herstmonceux were found to be at a very low level. Herstmonceux was also found to be ‘magnetically flat’. A complete set of magnetic observations from 1957 to 2002 are available to download from the British Geological Survey website. The volumes contain site plans and information about the instruments in use. Click here for link. When the Hartland Observatory was built, the nearest railway was the Okehampton to Bude Line running in and east-west direction about 12 miles to the south. To the east, and at a greater distance, the North Devon and Cornwall Junction Light Railway ran from Halwill to Torington from where the line continued northwards as the North Devon Railway to Bideford and Barnstable. Neither line was electrified and both were closed as part of the Beeching cuts in 1965. As a result, the nearest mainline tracks are now about 19 miles away at Barnstable.